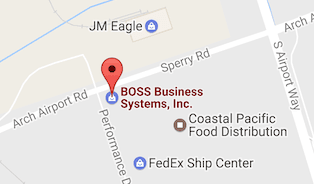 BOSS Business Systems Volunteers for 2017 h2o Hackathon - BOSS Business Systems, Inc. The 2017 h2o Hackathon got underway at 8 AM on 24 March 2017 at the San Joaquin Office of Education in Stockton, CA. BOSS has volunteered for the last 2 years to support this effort to bring technology to the local area and into our schools. 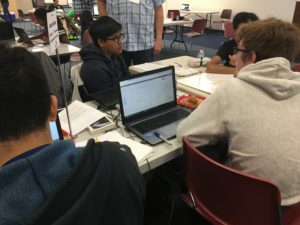 Over 100 students turned out to develop their application to help improve the accountability of water use in California while also learning about this important topic. IBM Bluemix was a main sponsor of the event and the application solutions were built primarily on their cloud platform. The students competed for a 5k grand prize for the best application. Also in attendance were major industry water experts from all over California. BOSS with its partner company Media Creations created t-shirts, printed material and the Hackathon website to help promote this successful event.